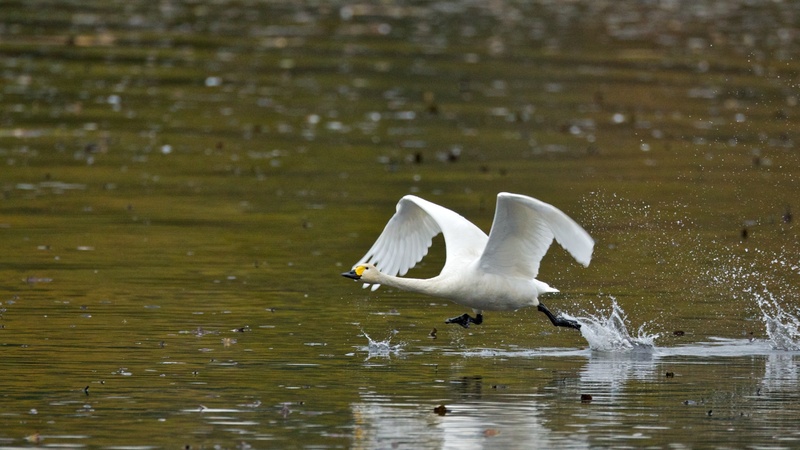 Photographer Gregg Thompson recently photographed a "Bewick's" Tundra Swan in flight near Seattle. This race of Tundra Swan is a rare visitor from Siberia and can be separated from the North American race of "Whistling" Tundra Swan by the large amount of yellow at the base of its bill. The variable size and shape of this yellow patch is used to identify individual birds in a decades-long study of the species in England.